December 7, 2018 at 8:40 am EDT | by Lou Chibbaro Jr.
Annie’s Paramount Steakhouse, which has been one of D.C.’s earliest gay-friendly and supportive restaurants since the 1950s, celebrated its 70th anniversary at its location at 1609 17th St., N.W. on Monday night, Dec. 3. “It was jubilant, it was terrific,” said gay bartender Dito Sevilla, a longtime Annie’s customer who works as bar manager at Floriana’s Restaurant across the street from Annie’s. George Katinas and members of his family opened the then Paramount Steakhouse on 17th Street in 1948. Anne “Annie” Katinas Kaylor, George Katinas’ sister, joined the staff of the restaurant a short time later, becoming a bartender and later the night manager. 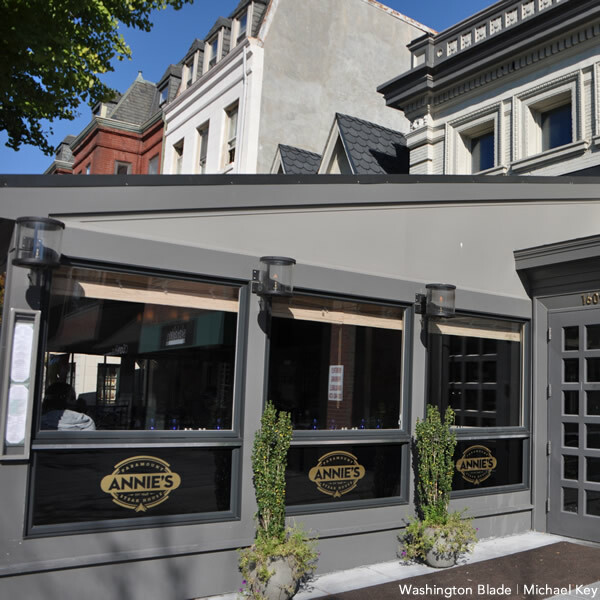 Her popularity among the restaurant’s customers, including its large contingent of LGBT customers, prompted George Katinas and other family members to rename the establishment Annie’s Paramount Steakhouse. 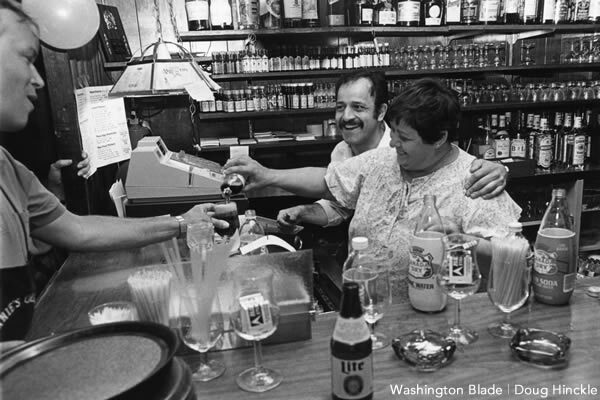 “Her commitment to impeccable service with a fun attitude, welcoming hospitality to all, and unwavering support to the GLBT community and the Dupont Circle neighborhood has set a high standard for everyone else to follow,” according to a July 2013 message posted on the restaurant’s website at the time of Annie Kaylor’s passing at the age of 86. Sevilla and other regular customers at the restaurant say Kaylor became a beloved figure for years among the LGBT customers. Among other things, she rode in an “Annie’s” car for many years in D.C.’s annual LGBT Capital Pride Parade, which travels along 17th Street in front of the restaurant.